In one sense, I’m not sure where this is going to go. In another sense, I know exactly where its going. For one, I know we’re going outdoors. Outdoors in Central Iowa. 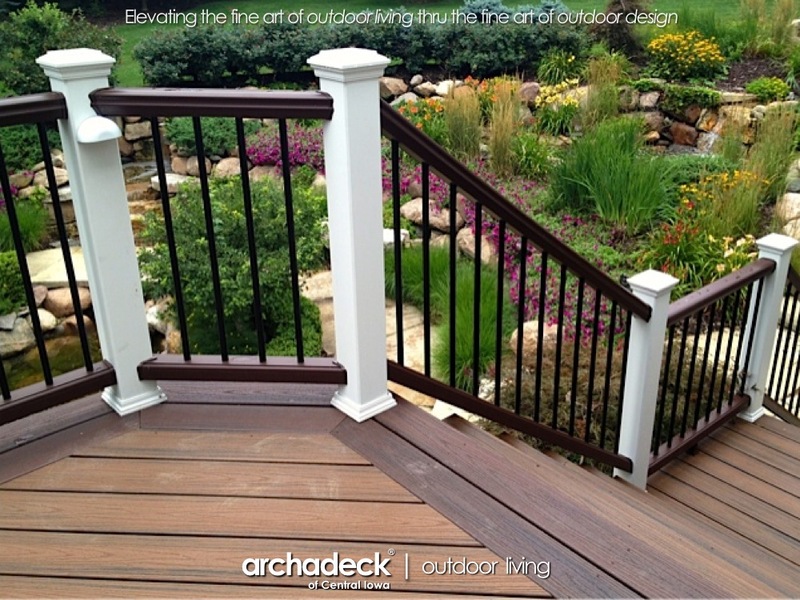 Where we’ve always been…on Archadeck designed-and-built decks, porches and patios around Des Moines and the surrounding area. For two, I know we’re going to move. We have hosted this “An Outdoor Living Space” blog on WordPress since its inception in the fall of 2009. Counting this post, we’ve published 87 posts on our blog here to date and there have been over 100,000 views of these posts over this timeframe. All a testament to the popularity and interest in outdoor living spaces as a valuable and necessary extension of your home and our experience in successfully bringing those spaces to life in hundreds of Central Iowa backyards. Thank you for following and reading us here over the years…wherever you live. For three, I know where we’re going to move. In concert with this post, we will be transitioning to hosting our blogging on our central-iowa.archadeck.com web site. Look for the same outdoor living conversations and content at the “Our Blog” tab at central-iowa.archadeck.com. We look forward to seeing you on the other side! We will keep the historical content here and we’ll occasionally post on “An Outdoor Living Space” here, too, for nostalgia purposes. So don’t lose us here! 2016 threw us a couple of curves. Personally, the curve was physical and mental…the way a hard-breaking Nolan Ryan curve ball leaves your knees weak…and the way a Joe Frazier rounder punch to the gut leaves you gasping for air. And more. Professionally, the curve was visual…geometry and radiuses coming together…bringing soft and aesthetically pleasing curves to lines in a world that are too often harsh and rigidly square. What I don’t know is how far to go in connecting the dichotomy of these two “curves.” In my mind, they are connected because when you own your own small business, everything in your life is connected. There are certainly personal and professional lines, but they are blurred – if not erased – more than they are clear. So its hard for me to ignore the personal “curve” – the tragic accident this past spring that took the life of our granddaughter’s father and severely injured her mother…our daughter – and the impact that event had on me, personally and professionally. Suffice it to say that if you’ve noticed a “silence” here (nearly 18 months since my last post), this “curve” was a significant factor in that. But, amidst the events of that tragedy and our daughter’s subsequent miraculous (and ongoing) recovery, the business of Archadeck of Central Iowa continued and, in fact, thrived. 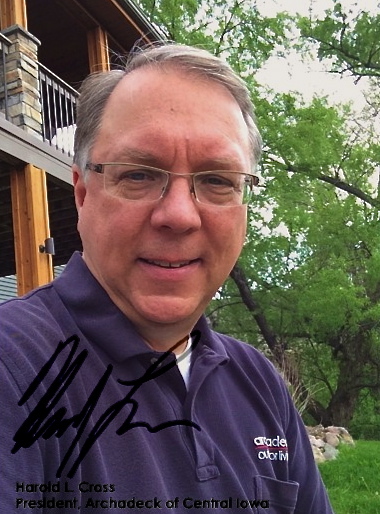 Thanks in great part to the entire Archadeck team (David Cross, construction manager; Nolan Benge, design consultant; our crews) who stepped up to spell me when I was otherwise consumed with our family’s tragedy (particularly in the spring…our really busy season). Part of the thriving, too, is the nice outdoor living project opportunities our clients continue bringing us to design and build. Thank you for those opportunities! 3 of those opportunities this year resulted in deck spaces featuring significant curved features, something we’ve done once before but something we see becoming more popular and commonplace…like curved patios. So commonplace, in fact, that we invested in and acquired our own Trex Custom Curve machine to help facilitate curved decks with curved decking in those 3 projects in and around Des Moines (with many more to come). Don’t let the Trex name fool you, we can (and have) also curved Azek decking in addition to Trex’s decking products. So, that was the professional “curve” thrown us this year. And with that, we’re now ready to throw you some curves! Continue to watch our web site’s photo galleries and our new blog site there for more photos and information on our Des Moines area curved deck projects and capabilities. One last point of closure as we transition this blog to our web site, speaking of connections and personal and professional lines being blurred: A couple of years ago, I started a side blog project called “Outdoor Living Notes” where I occaisionally write about the convergence of two passions of mine: outdoor living and music. One professional, one personal…but with more connections and overlap than one might think (especially if you don’t think like me). Needless to say, that site, too, has been quiet as a result of the curves thrown at me this year. But, music being the healer it can be and has been, there are a lot of pent up words to be written there, too. So, look for that to soon become active again; give it a read…listen, too, if you’d like. The “Outdoor Living Notes” blog will remain here on WordPress. Go Outside and Play! Run circles (curves) while you’re at it! Then circle on over to our web site-based version of “An Outdoor Living Space.” See you there! Happy St. Patrick’s Day! If you’ve followed this blog (thank you) about outdoor living spaces, rooms and accessories around Des Moines and Central Iowa, then you know that there’s always a theme here this time of year: Color! Playing off, of course…green beer. I’m always fearful of recycling this content, fearing that you’ll lose interest and the lack of creativity will drive you away. 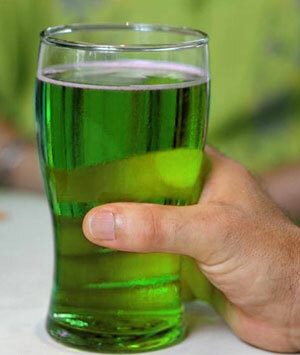 But, you don’t seem to mind as these posts, collectively, are still some of our most popular…just like green beer. 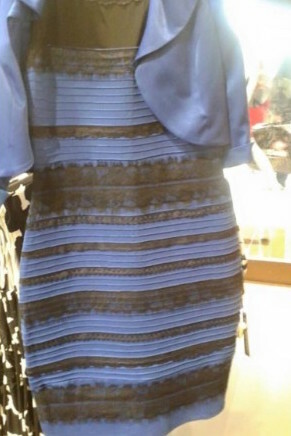 So this year, on the heels of the recent release of the “Fifty Shades of Grey” movie and the “What Color is this Dress?” viral social media story, we’re playing off more than just green beer. New color stories seem to be everywhere, including in the Archadeck world of decks, porches, patios and…(stay tuned) outdoor furniture. Trex Transcends capped composite decking now comes in two new colors since last spring: Island Mist and Havana Gold . These add two more hues to the already vibrant tropical color line that still includes Spiced Rum, Tiki Torch and Lava Rock. TimberTech expanded their very popular Earthwood Evolutions Legacy collection of capped composite with a nice Ashwood color. In their Terrain value collection, 3 colors were added: Rustic Elm, Silver Maple and Stone Ash. Azek introduced a beautiful new Vintage Collection of PVC decking just this spring; the 3 color offerings in this line include Cypress, Dark Hickory and Mahogony. For those keeping score, that’s 9 new color offerings across just those three brands of wood-alternative decking products in the past year. Breaking that score down further, 4 of those were some shade of grey. Believe it or not, 50 shades of grey decking is not beyond the realm of possibility…someday. In the world of railing, I think Feeney’s DesignRail aluminum system has introduced the biggest color splash for spring: BOLD COLORS! The opposite of grey. Bold, as in green, blue, red, orange and yellow…nearly all the colors of a vibrant rainbow! In an effort to accommodate these ever-changing colors in the world of decking and railing, we re-worked our office and design studio last spring to allow more flexibility in our displays of these products. When you’re ready to custom-design your outdoor living space with us, we’ve got a very effective facility to help take the “fear of the unknown” out of your decision-making process. In the Archadeck world, a whole new spectrum of colors has been introduced through our new offering this spring of Casuwel outdoor living furniture and accessories. Archadeck of Central Iowa – along with our Outdoor Living Brands, Inc. franchise cohorts, – is proud to announce that we are now certified sales reps for Casuwel premium outdoor furniture. We offer substantial savings off published internet prices and our initial offering consists of 4 woven collections, all with a wide variety of color and pattern fabric options for their cushion options. Accessories include pillows, rugs and umbrellas…also offered in a wide assortment of colors. Did I say colors? We have all the weave and fabric samples in our office and design studio now, along with brochures and catalogs. 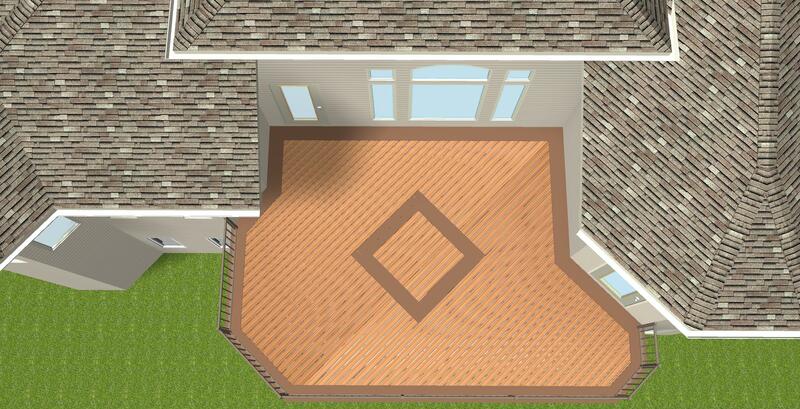 So, we can easily work with you to configure the furniture needs of your outdoor living space – whether an existing space or a new Archadeck designed/built space. In early April, we will have two of the Casuwel collections on display in our office / design studio, allowing you to check out the fine quality and styling of Casuwel for yourself. We are excited to be offering this new product line. Beautiful, custom-designed/built decks, porches and patios, and now the outdoor furniture to allow you to fully enjoy your outdoor living experience. With the nice, warm weather we’re having, I hope you get a chance to celebrate some of the early rites of spring – St. Patrick’s Day, March Madness (never madder than in Iowa, this year) and the First Day of Spring – outdoors on your decks, patios and porches around Des Moines. If your outdoor living spaces aren’t up for these types of celebrations, contact us for a free design consultation to see how we can brighten your outdoor living spaces. Coming off a very nice Memorial Day weekend here in Central Iowa, KCCI TV8 is reporting a deck collapse in West Des Moines over the holiday weekend. Following on the heels of my last post here right before Memorial Day where I highlighted many of the opportunities this “season” gives us to celebrate outdoors on our decks, patios and porches, this incident emphasizes the criticality of deck safety. Close to home. Fortunately, for this family, apparently only minor – but widespread – injuries were reported. That is the best news in this story. 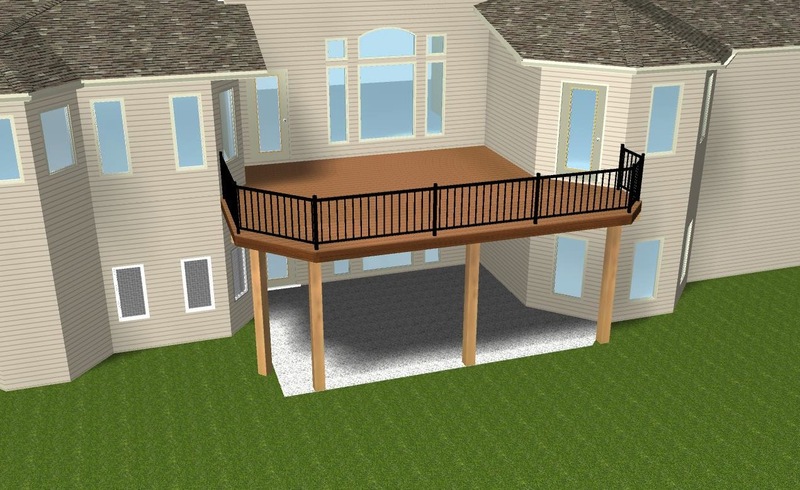 The North American Deck and Railing Association (NADRA) designates May as Deck Safety Month and has an ongoing program dedicated to deck safety. I’ve maintained a separate page here on this blog site in that regard. Written 4 years ago, its still timely and holds true so I’ll just refer / link you to that deck safety page. Archadeck puts a “BE SAFER” spin on these principles and guidelines, offering tips and suggestions to ensure your deck is safe at our national Deck Safety page which I’m also referring / linking you to here. 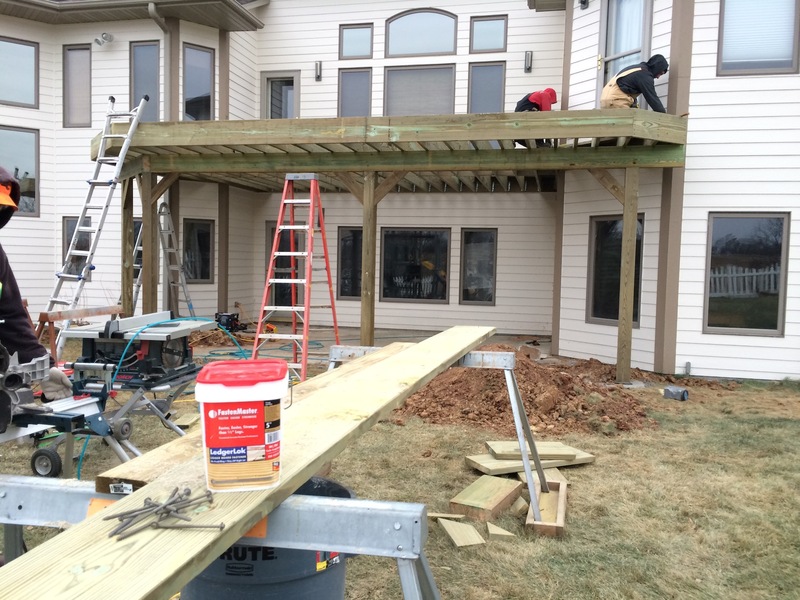 Associated with our “BE SAFER” program is our offering of complimentary deck inspections and design consultations. 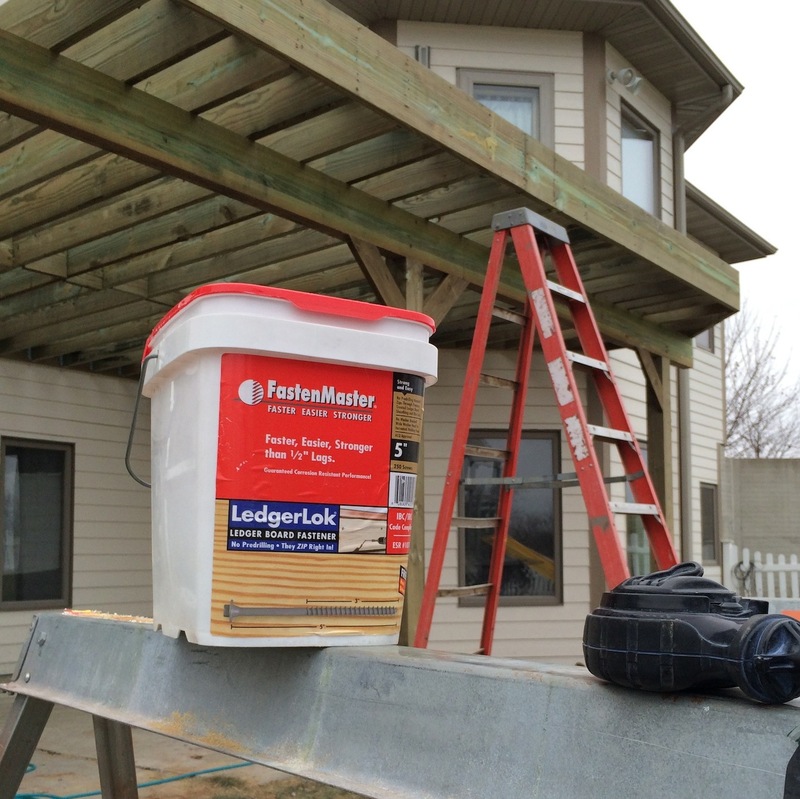 Deck safety – the structural soundness of your deck – is serious business. If its not taken that way, the results can be devastating. 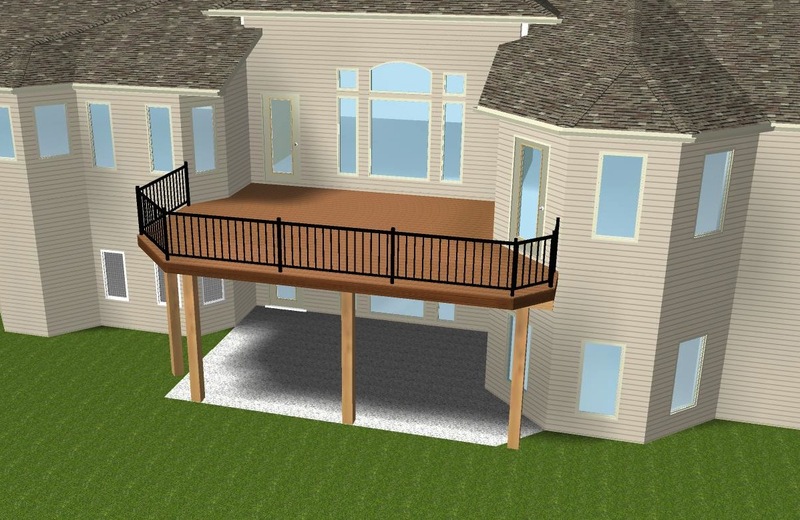 At Archadeck of Central Iowa, each of our projects go thru a thorough analysis by our franchise structural team resulting in detailed plans for loading and spanning the various structural components of a deck…footings, posts, beams, joists, fastener schedules and the connection to the house (when connected there). Our design loads generally exceed minimum code requirements (do you want a car that gets minimum gas mileage requirements…or a car that exceeds those requirements? ). 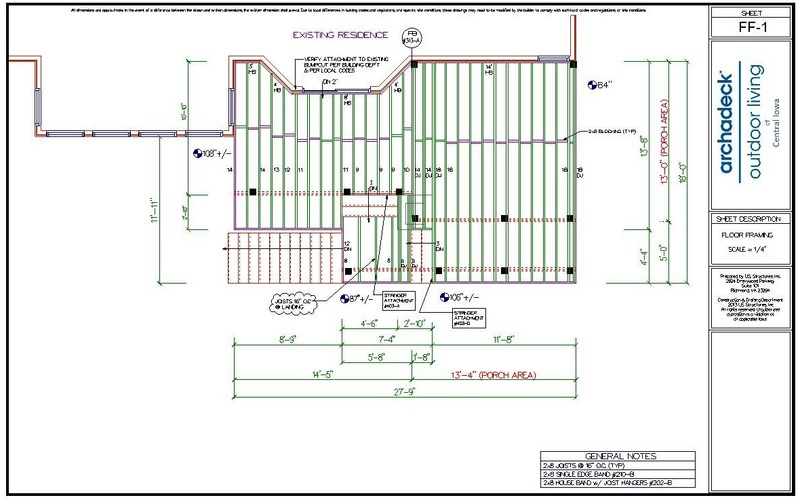 Those plans are filed with our building permits and are the basis for building approval and the appropriate inspection schedules as construction progresses to completion of your project. We warrant our structural integrity for 5 years. “Better Building by Design” is a tag line we use frequently. But, its more than a tag line, its our guiding principle and it takes many forms. Not the least of which is: a safer deck. 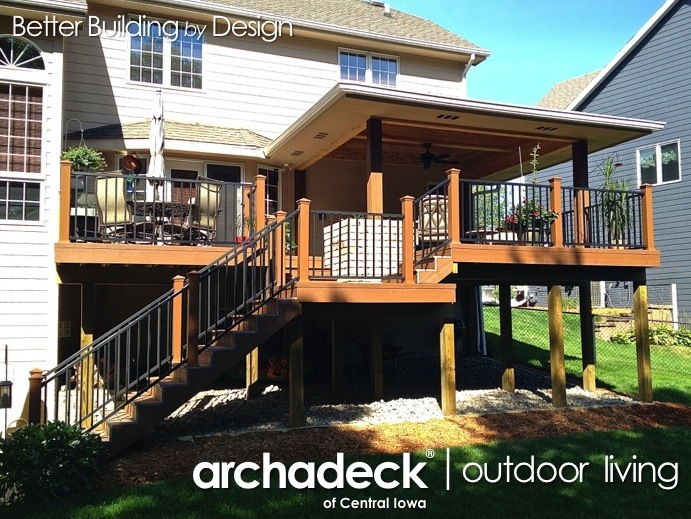 If you have concerns about the overall safety of your Des Moines area deck, or want to learn more about deck design and construction as it relates to deck safety and structural requirements, I would certainly encourage you to contact Archadeck of Central Iowa or any other reputable, experienced deck builder. If you prefer a more independent, yet still knowledgeable, resource for your assessment, I would encourage you to contact your local building department and their inspection teams.